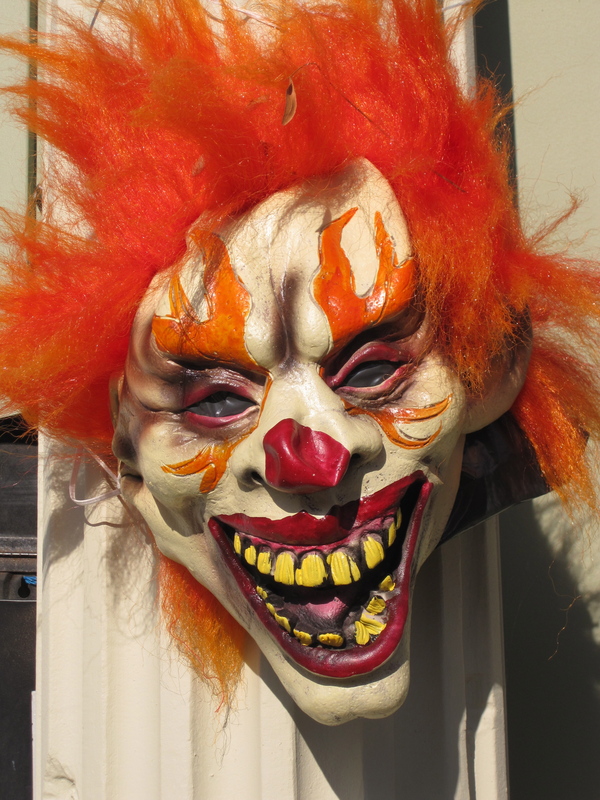 Today’s Photo – Happy Halloween! 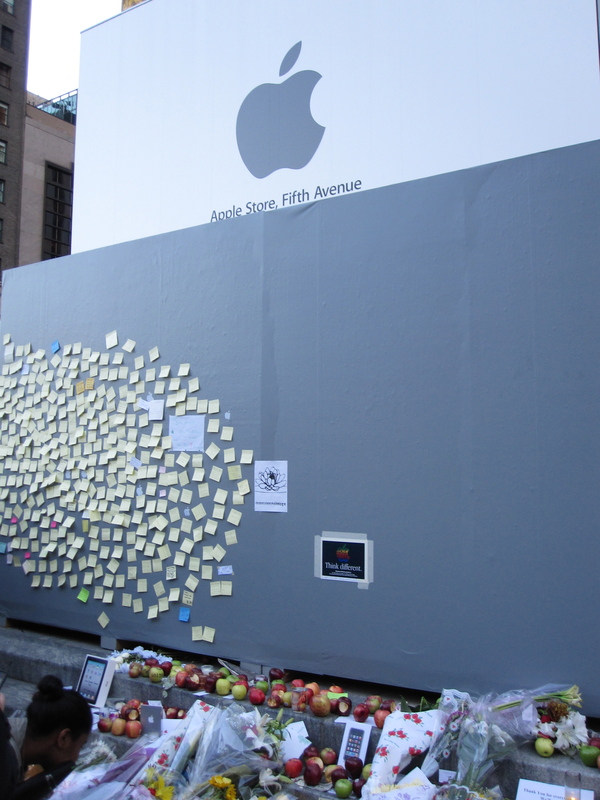 Today, many Apple stores are closing for a short time so that employees can watch a live broadcast of a memorial service for Steve Jobs. 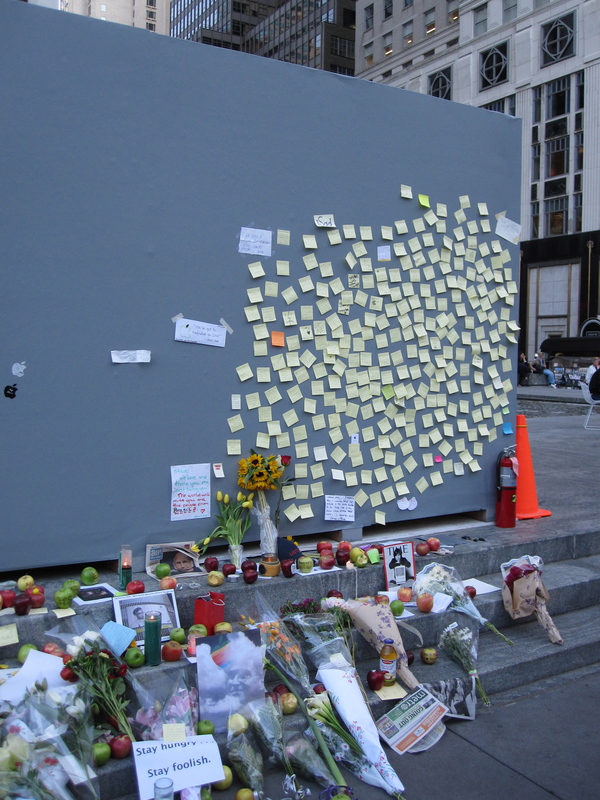 When I was in NYC recently, I viewed the spontaneous memorial that sprang up outside the Apple store in Manhattan. 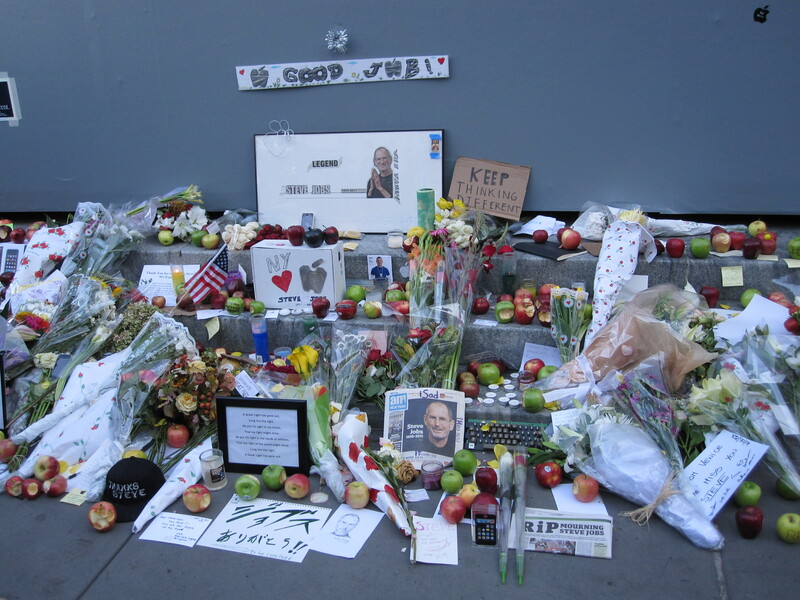 People left notes, banners, and Apple products in touching remembrance of a true genius of our times. Thank you, Steve Jobs, for the reminder to Think different! The Man Booker Prize is about to announce their 2011 winner for the best full-length novel written in English by a citizen of the Commonwealth or the Republic of Ireland and published in the UK this year. Barnes and Noble included the following in the “Our Week in Review” email this week. If you’re looking for book recommendations, this might be an interesting source. Harold Augenbraum, Executive Director of the National Book Foundation, was asked to provide succinct summaries of the 44 books that have previously received the prize, from 1969 on. As one might expect, it makes for a varied list. I’ve only read a couple of the books myself (The Life of Pi and Midnight’s Children), although I did see a few movies that were based on prize-winning novels. I plan to add a few more of these books to my list of must-reads. 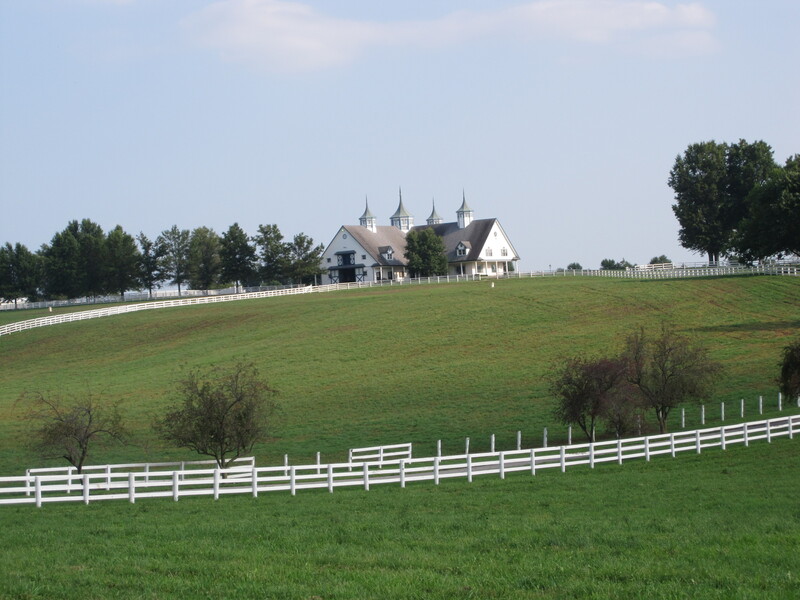 On a drive through the Kentucky Bluegrass area, I came across this very idyllic scene. 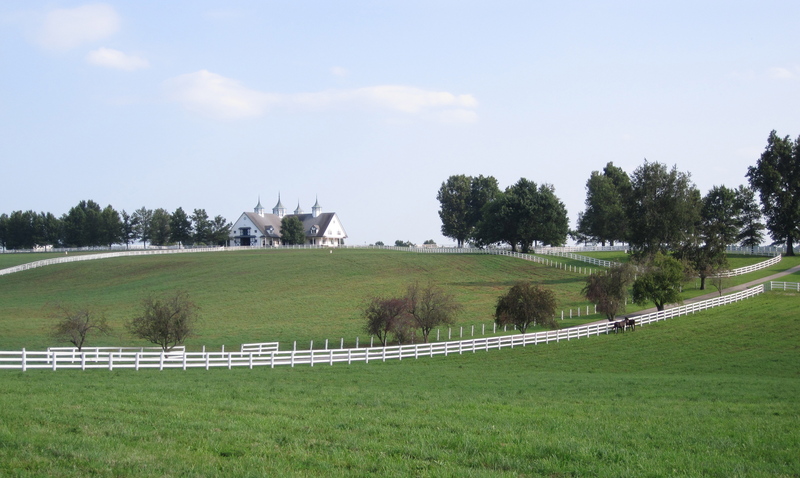 It’s one of the dwindling number of horse farms that still use the classic white fence; most have taken to painting them black for economic reasons. 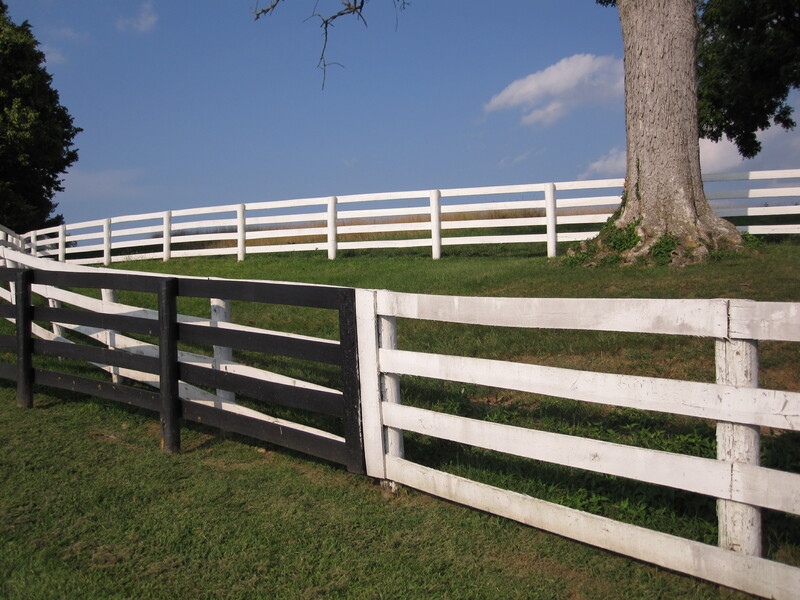 I included a photo of the past literally bumping up against the future, fence-wise. 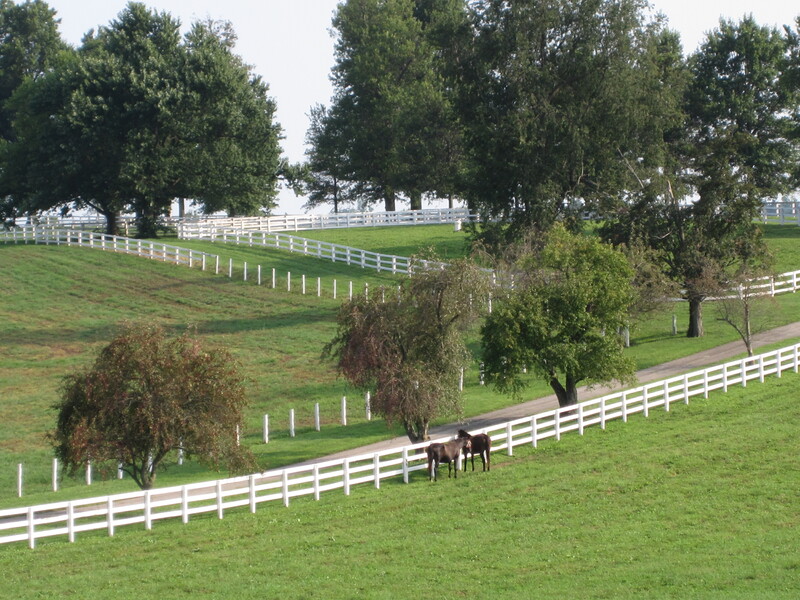 The horses fully cooperated during their photo op.